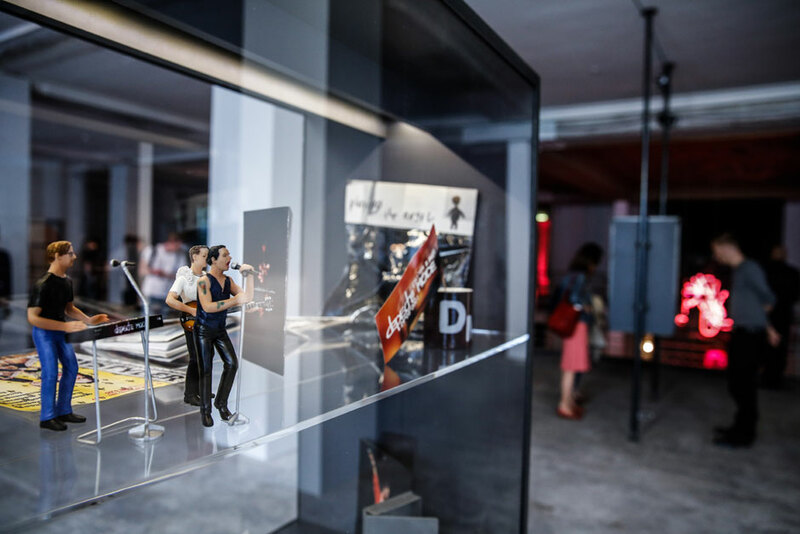 The largest and most comprehensive fan exhibition on Depeche Mode has now opened its doors in Berlin. It’s open until June 23rd, from 12-9pm daily at Warenhaus Jandorf (Brunnenstrasse 19, at the corner of Veteranenstrasse). All photos by Markus Nass. The former Jandorf warehouse in Mitte, which has stood vacant for ten years now, was an institute for fashion design (in German, “Modedesign”) during the times of the GDR. 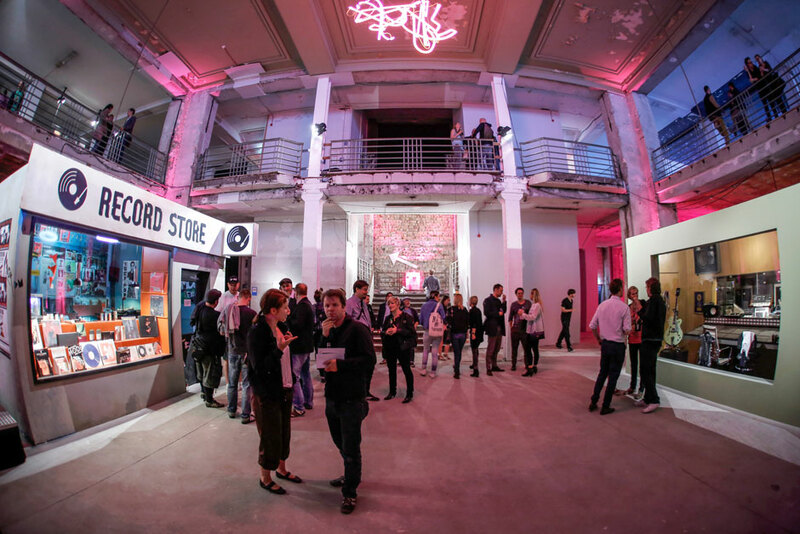 A suitable space, then for the wonderfully crafted Depeche Mode Fan Exhibition; after Zagreb, Budapest and Bratislava, Berlin is its fourth and largest stop with almost 1000 square meters and over 500 artifacts on display. The relationship between Berlin, East German fans and Depeche Mode plays an important role in the exhibition. 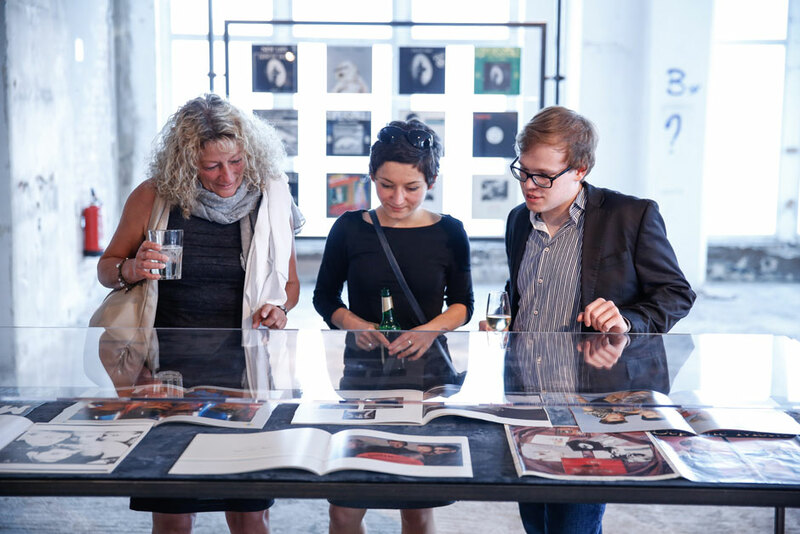 The main body of the show is composed of items from (East German) collector Dennis Burmeister’s archive, but it also includes exclusive and personal objects courtesy of former East German fans. Apart from the many fanzines, homemade cards, and GDR fan art, another highlight of the exhibition is the display of the official Stasi records documenting the monitoring of the Depeche Mode fans in the former GDR. 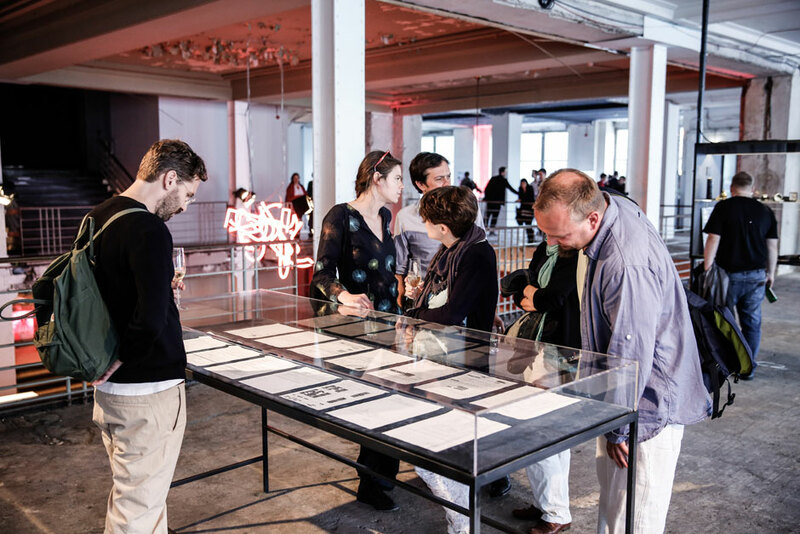 As well as documents from the legendary concert Behind the Wall, which took place on March 7, 1988, at East Berlin’s Werner-Seelenbinder Hall, the fan exhibition series also displays Andrew Fletcher’s original Stasi entry files. Entering the space, projections of the band live and in their music videos immediately tune you in to the atmospheric nature of the exhibition. The ground floor hinges on two conceptual pillars: the recording studio replica of the fabled Berlin Hansa Studios—where the band recorded their third album Construction Time Again with the legendary sound engineer Gareth Jones—and the ‘record store’ where you can discover unknown releases. On the back wall of the ‘recording studio’ are two master plates for the greatest hits Album released by Amiga, the well-known East German record label. To accompany this is the original 1980 demo tape of the band with the original manuscript by Vince Clark. Martin Gore’s Gretsch guitar is displayed alongside other instruments used by the band, including the legendary E-MU Emulator-2 Sampler. In the record store, among the endless rarities on display, records from Scandinavia and various special pressings and bootlegs are presented, including a Music for the Masses mis-print, one of only 12 in existence which carries a value of over €4000. At the back of the basement a selection of artworks by Dorit Bialer present miniature figures of the band as a game. Continue to the first floor to a number of cases highlighting the aesthetic qualities of Depeche Mode. The Depeche Mode Fan Exhibition is also a show about fashion, graphics, design and promotion. Additionally worth mentioning is the special promotional gag, the inclusion of a rare hand mirror accompanying “See You”. With the support of the record company, and through its extensive display of concert documentation, archive material and merchandise, the Depeche Mode Fan Exhibition represents the equal feelings in life of both, the band and the fan. Marcus Kettel is a curator, exhibition architect, and Depeche Mode fan living and working in Berlin.